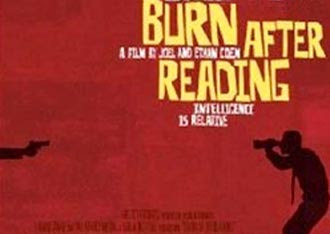 Last night my husband and I went to see Burn After Reading with Brad Pitt, George Clooney, John Malkovich (and other people you would know by name or when you saw them), and I must say it was an awesome movie!!! I highly recommend checking it out if you have a dark sense of humor like I do. We were laughing our butts off almost the whole way through it! There are definitely some disturbing moments, but this flick is full of comedic twists and turns that kept me on the edge of my seat. The characters are hilariously quirky. The ending wasn't as fulfilling as I would've liked it to be, but I would actually pay to go see it again! Banners, and templates and gadgets...oh my! Amazing tidbits to cheer me up! It's official....my mind left the building. Where, oh where, is my mind today?